3 Bedroom End of Terrace House For Sale in Tunbridge Wells for Guide Price £440,000. Guide price 440,000 - 460,000. 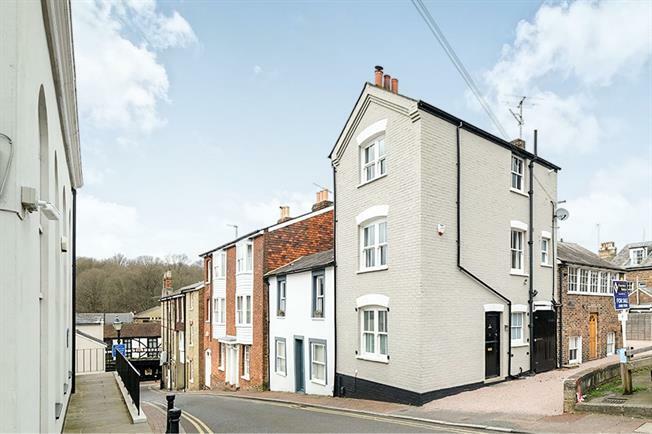 Freeman Forman are delighted to present this charming two/three bedroom period townhouse, located in an enviable position in the Village Area of Tunbridge Wells. The property is just a few minutes walk to the mainline railway station, The Pantiles and Grove Park. The property has been beautifully renovated by the current owners so that it now offers flawless accommodation arranged over three levels. The ground floor accommodation includes a stunning open plan kitchen/diner with a wood burner and stable door. Stairs rise to the first floor where an impressive double aspect sitting room can be found along with a newly fitted bathroom. A further staircase then leads to the second floor where two double bedrooms are located. The property benefits from a gas central heating system and an outside store cupboard. An internal viewing comes highly recommended.